The Viking Mask Helmet is a skull cap helmet inspired by the Vikings of the 10th century. The “spectacle” guard over the eyes provides great protection for the face while still allowing the wearer good vision. Reinforced with rivets, a combed apex, and a steel band around the rim, you can expect this helmet to stand up against the Roman Empire and its inferior states. Secure the Viking Mask Helmet by tightening the leather strap beneath the chin, keeping the helmet in place. 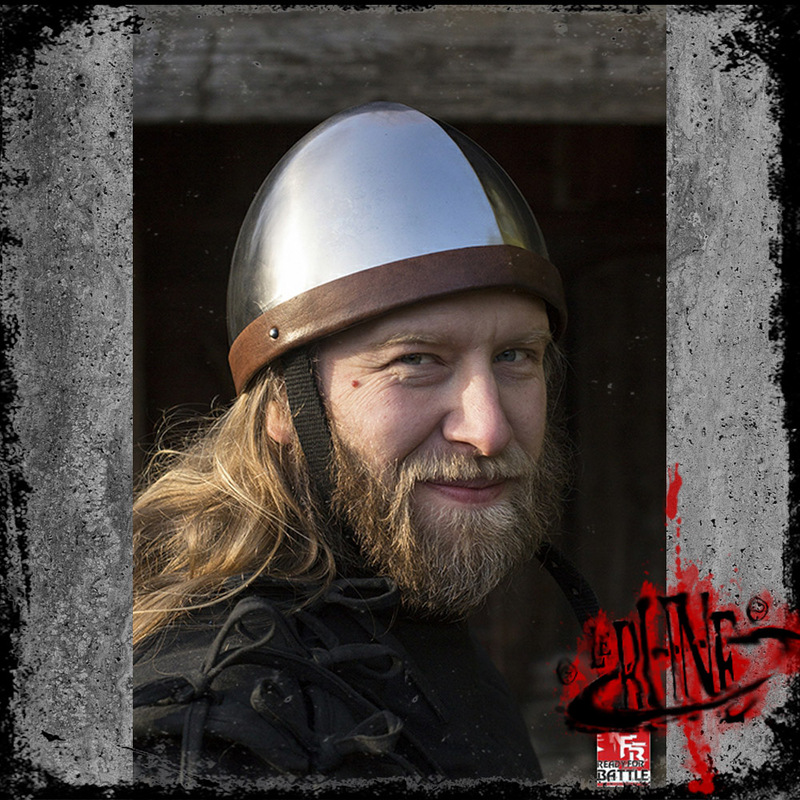 Made of 1 mm thick mild steel and top-grain leather straps and fittings, this armour piece is built to withstand the abuse of a LARP or reenactment with regular leather and metal armour care.